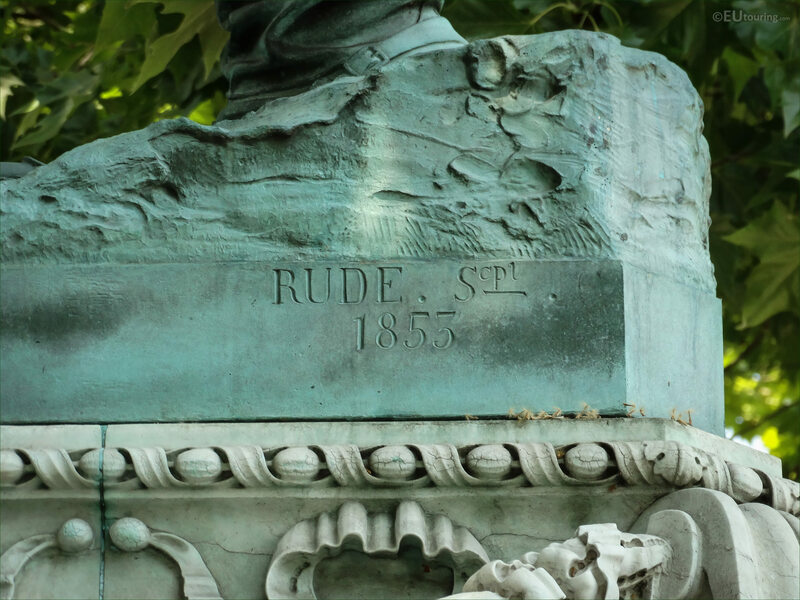 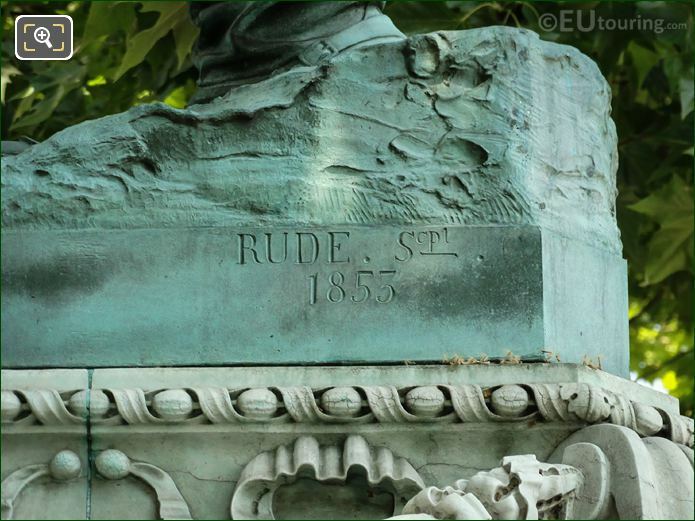 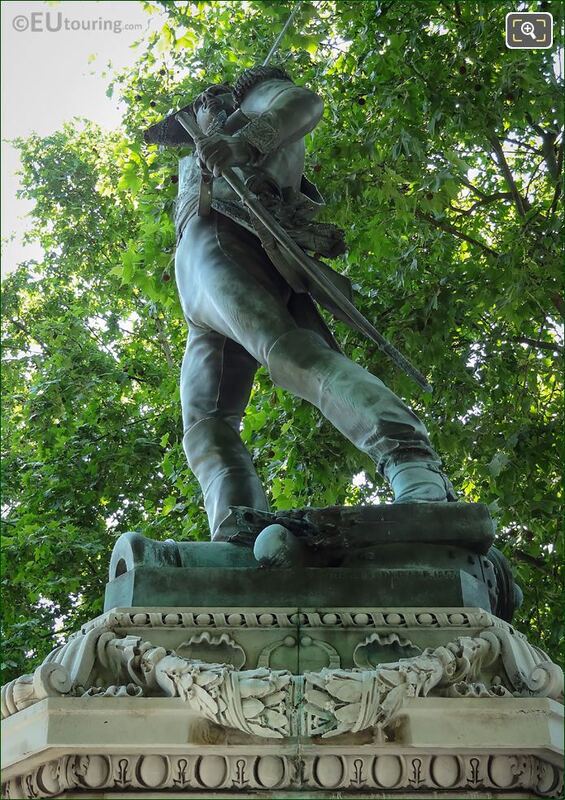 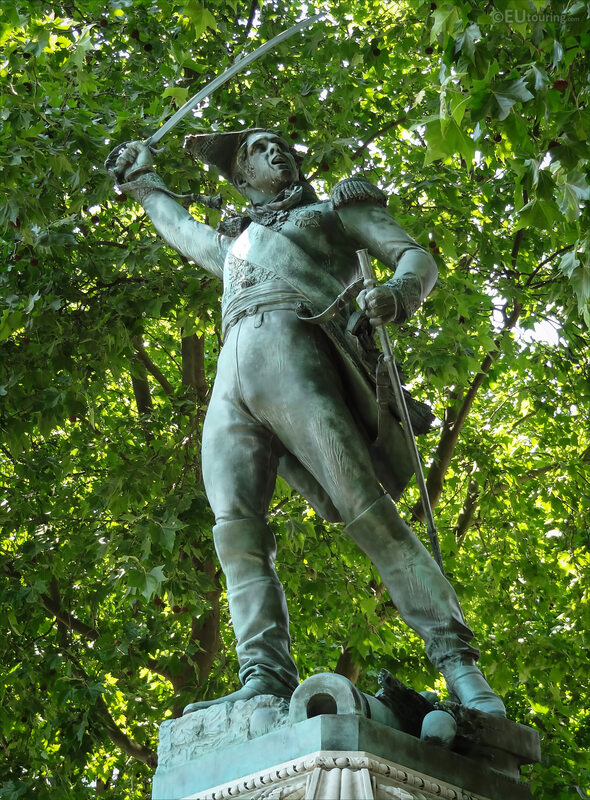 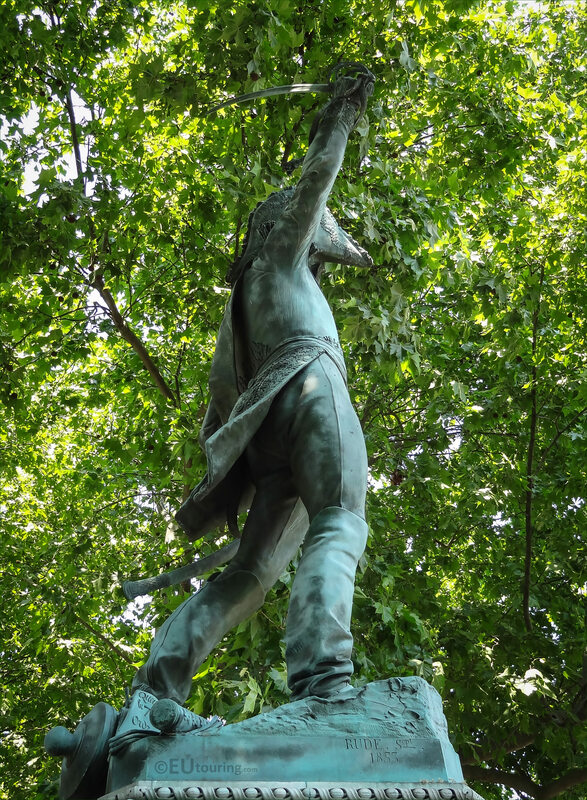 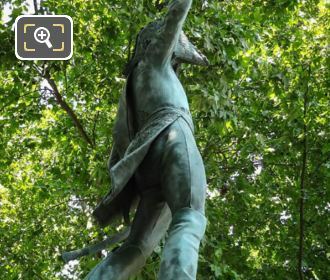 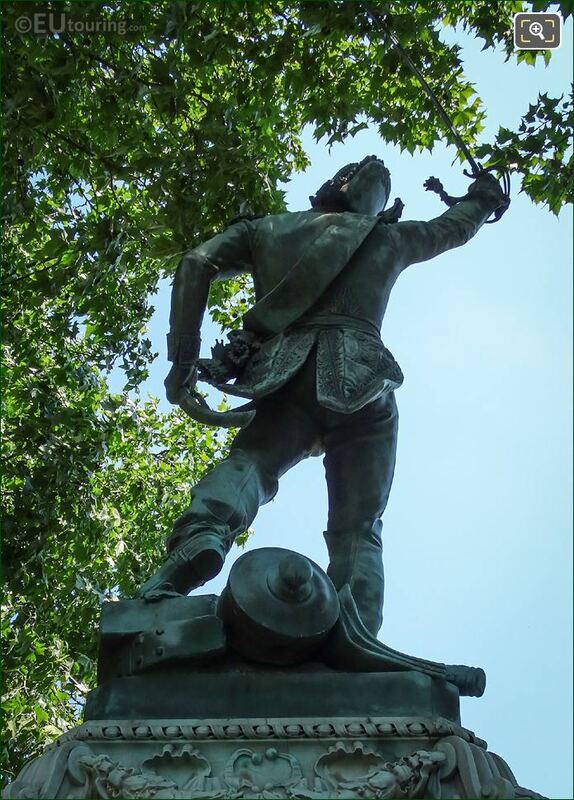 We were still in the 6th Arrondissement of Paris, but this time walking along Avenue de l'Observatoire, when we took these high definition photos of a statue called the Monument to Marechal Ney, which was sculpted by Francois Rude. 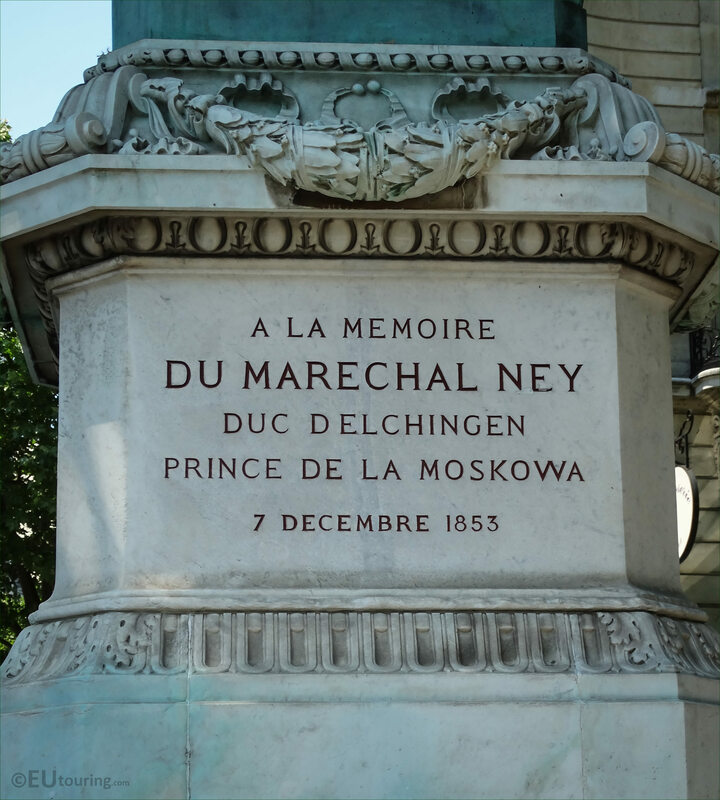 This first HD photo shows the bronze statue depicting Marshal Ney who was born Michel Ney the 1st Duc d'Elchingen and the Prince de la Moskowa, on 10th January 1769, and entering the military he eventually became a commander who fought in the French Revolutionary Wars and the Napoleonic Wars. 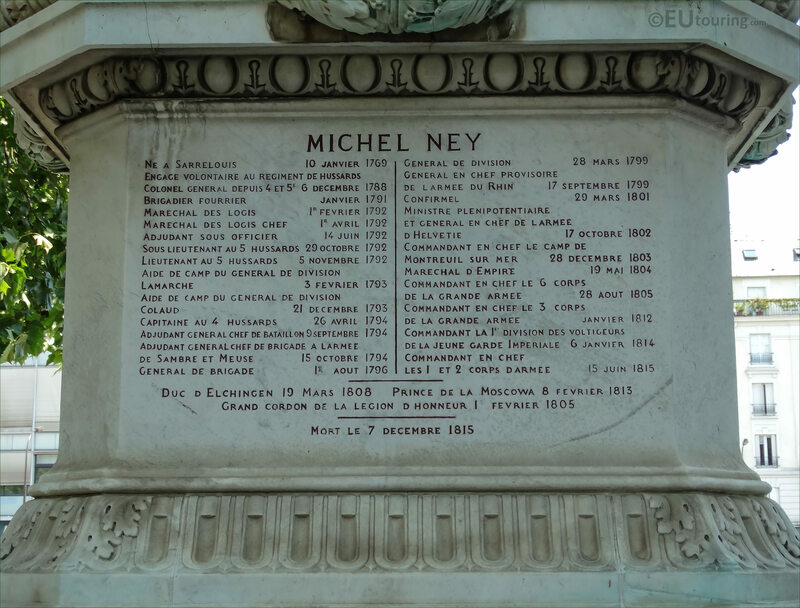 Michel Ney was one of the original Marshals of the Empire and Napoleon gave him a nickname of The Bravest of the Brave, however, when Napoleon was defeated, Marechal Ney was arrested and tried for treason, and was executed by firing squad along the Avenue de l'Observatoire on 7th December 1815. 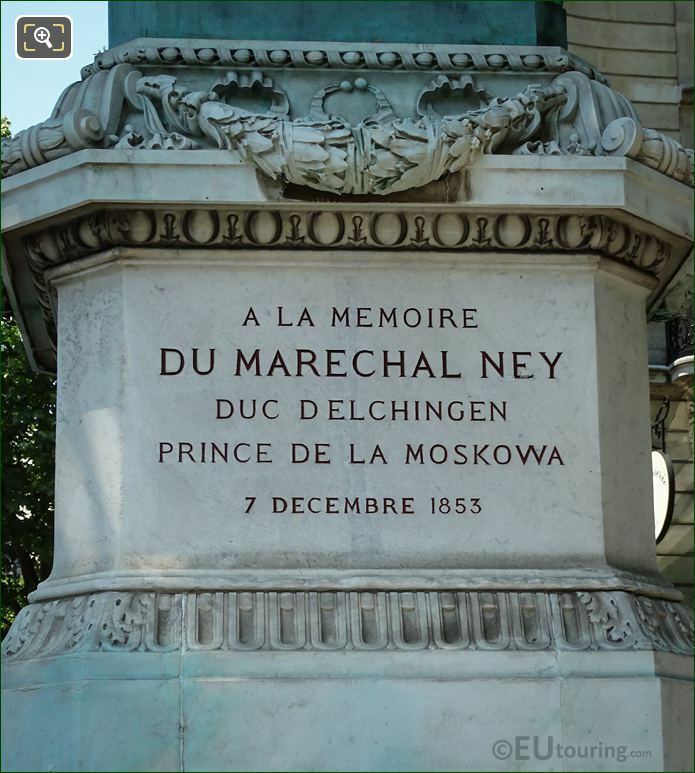 Yet it was not until 8th March 1848 that the Provisional Government agreed to erect a monument to Marechal Ney in recognition of his service fighting for France, which was mainly due to the pressure from the public who would lay wreaths and other items at the place where he was executed. Now the bronze statue itself was entrusted to the famous sculptor Francois Rude, yet the base and pedestal was down to the architect Alphonse de Gisors, who was also the person responsible for the changes made to the Palais du Luxembourg and the Luxembourg Gardens located close by. Initially Francois Rude wanted to depict Marshal Ney with head bare and in a stance just prior to his execution, but this idea was rejected, and eventually it was agreed that the statue should be as one would remember him for his courage during battle, recalling his glory rather than his misfortune, which is the statue you can see today. 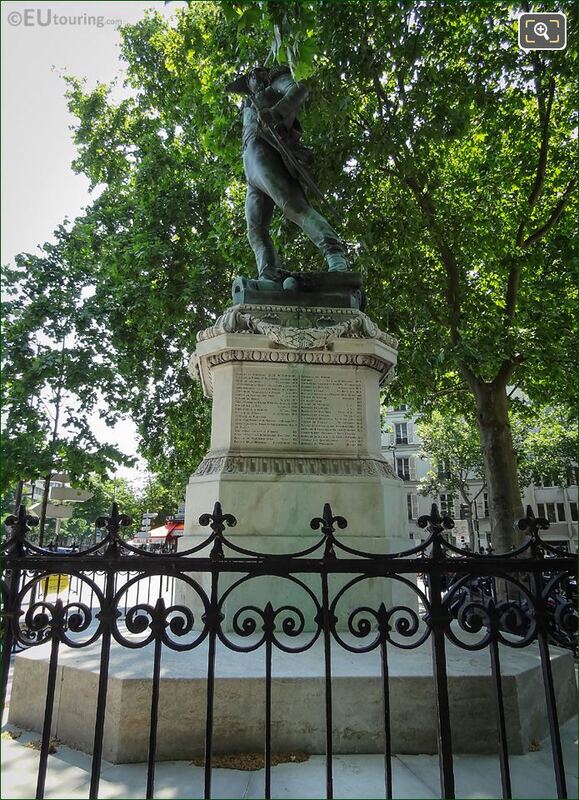 But as you can see in this close up high definition photo, this was not completed by Francois Rude until the September of 1853, however this French sculptor is most famous for his iconic sculpture of La Marseillaise on the famous tourist attraction called the Arc de Triomphe. 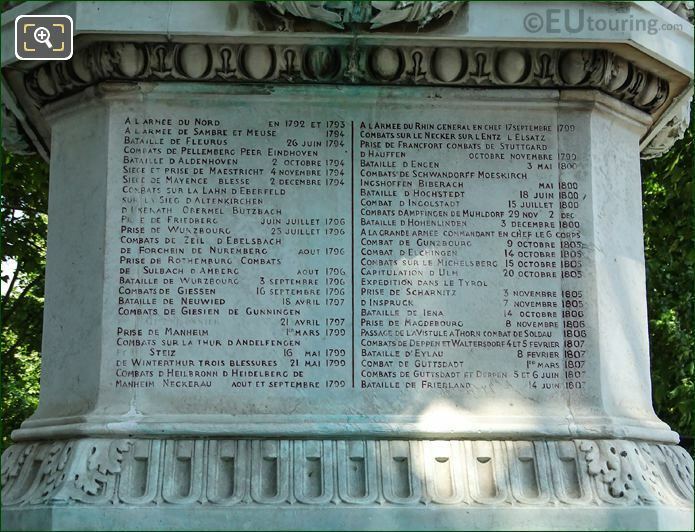 Yet as you can see from this close up photograph, this was inaugurated on the anniversary of his execution, on 7th December 1853, in the presence of his sons and Marshal Saint Arnauld, the Minister of War, positioned in the exact location of his death, and translated to English this states; To the memory of Marshal Ney, Duke of Elchingen, Prince of the Moskowa. Now, on the sides of the pedestal, there are other inscriptions including the one you can see in this image, which lists different battles, etc that Marechal Ney was involved in, such as the Battle of Dresde and the Battle of Waterloo. 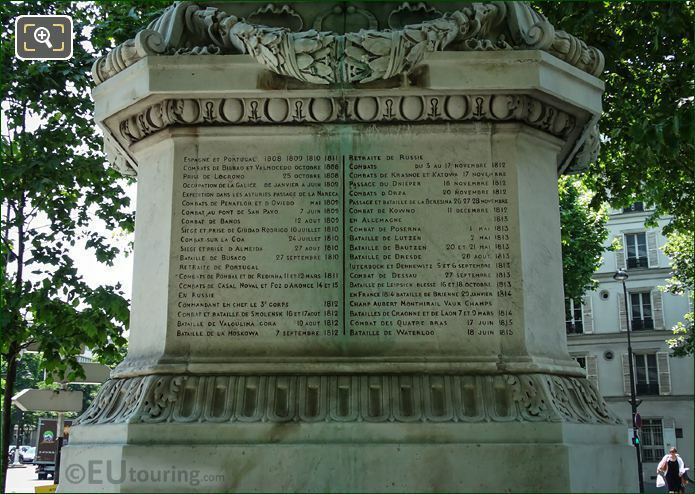 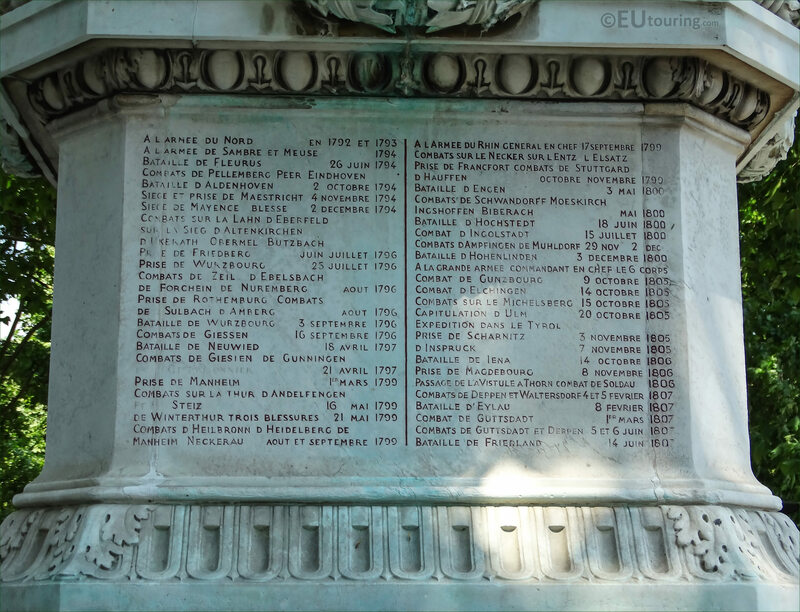 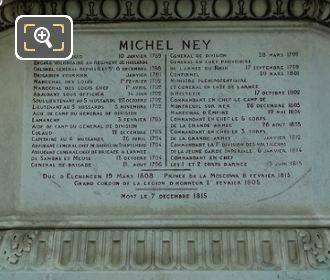 Yet this side of the pedestal, or base of the Monument to Marechal Ney, shows a brief overview of key events in a time line from his birth, plus mentions the awards and titles that Michel Ney received including the Legion of Honour on 1st February 1805. 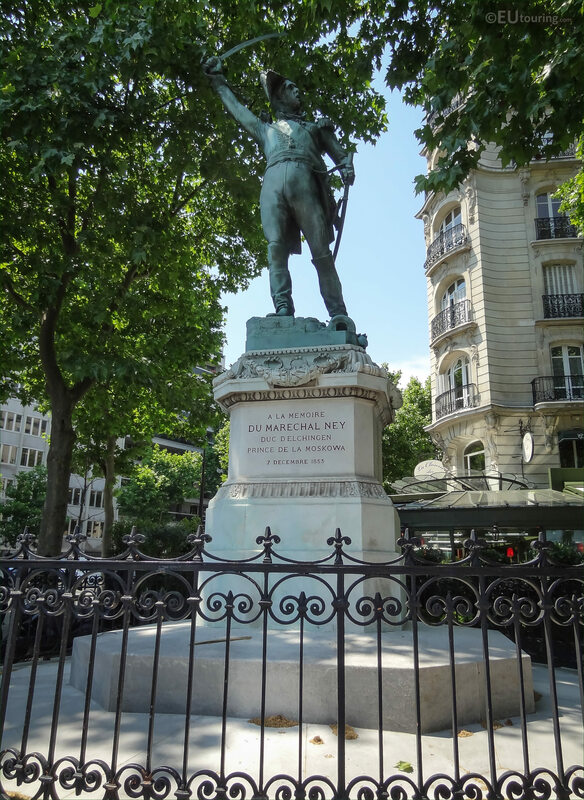 However, the fourth side of the base supporting the bronze statue of Marshal Ney shows another list of battles that Michel Ney was a part of including the Battle of Jena, or Iena in French, which is why the bridge by the Eiffel Tower was named after this Napoleonic battle. 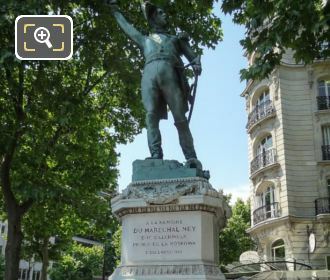 And in this last image you can see the back of the statue depicting Michel Ney, but we would like to point out that the monumental statue was actually moved from its original location to the opposite side of the Avenue de l'Observatoire when the extension of the Paris Sceaux train line was put in place in 1892, which is where you can see this monument today, by the Boulevard Montparnasse.